Joseph Beuys is one of the most important artists of the second half of the 20th century. He served in the German air force throughout World War II; his plane was shot down on the Crimean Front and he was rescued by nomadic Tartar; they wrapped Beuys in fat and felt to save his life. These two materials later became important features in the artist’s work. 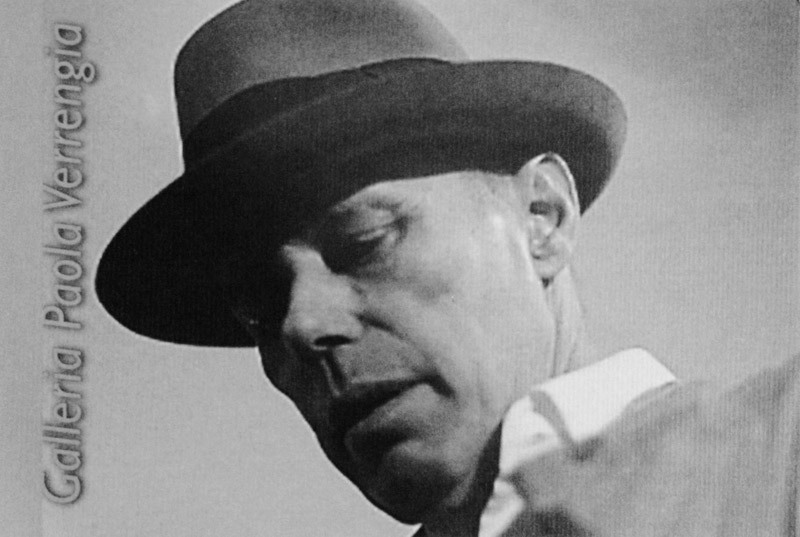 After the war, from 1947 to 1951, Beuys studied art at the Academy of Dusseldorf, where he became professor of sculpture in 1961. In the 1960s he was a key participant in Fluxus movement, a group of artists with ideas about how art could play a wider role in society. They made art in many forms including sculptures, performance, video and installations. He began to publicly exhibit his large-scale sculptures, small objects, drawings and room installations. He also created numerous actions and began making editioned objects and prints called multiples. In the 70s Beuys spent an inspiring period of his life in Italy, working with some of the most representative Italian artists and gallerists of that time as Achille Bonito Oliva, Arturo Schwarz, Germano Celant, Lucrezia De Domizio Durini and Lucio Amelio. 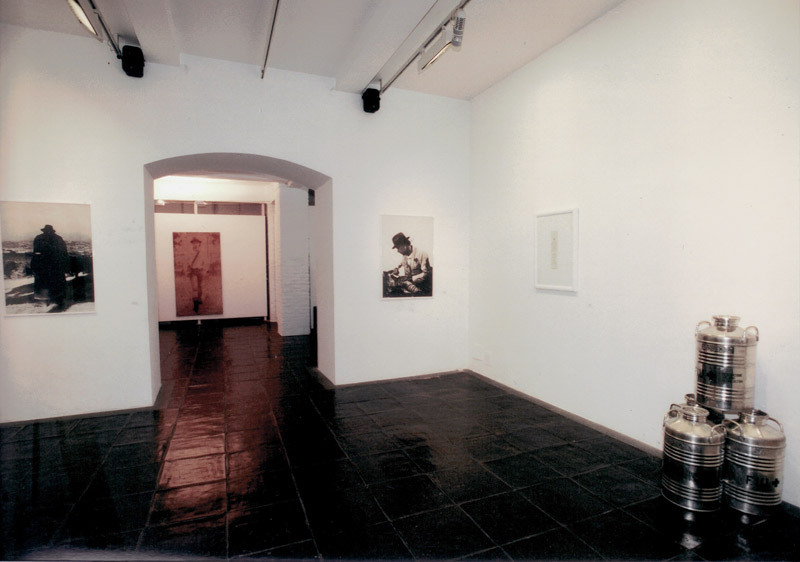 Thanks to Amelio, Beuys collaborated with Andy Warhol to realize the exhibition “Beuys by Warhol” in Naples in 1980. 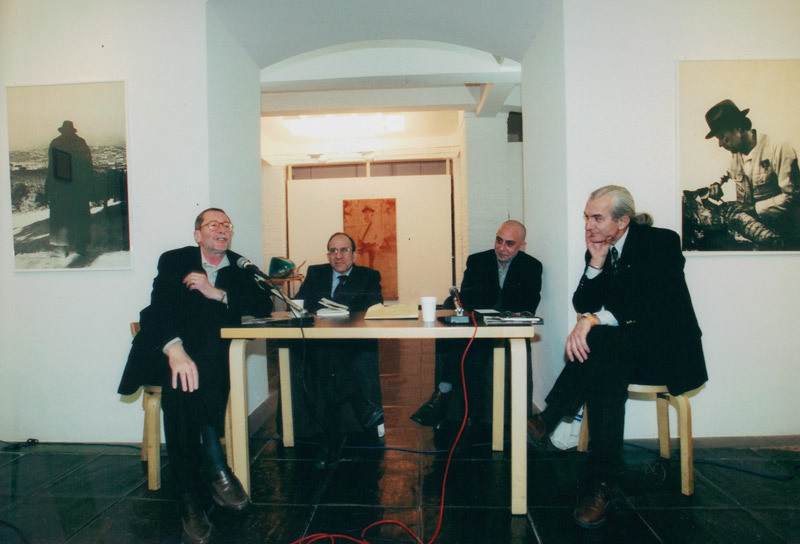 In the same period, the gallerist Lucio Amelio realized and promoted an important group show, “Terrae Motus”, with works by Joseph Beuys, Andy Warhol, Robert Rauschenberg, Miquel Barcelò, Michelangelo Pistoletto, Enzo Cucchi, Mario Merz and Mimmo Paladino. In the 70s and 80s Beuys was most active on the international stage and his works were displayed around the world, from Venice’s Biennale to Documenta Kassel to New York’s Guggenheim. Installazione -Grond. Musée d’Art Moderne de la Ville Parigi. Documenta 5 Kassel, Germania, presenta l’Ufficio d’Informazione dell’Organisation für direkte Demokratie durch Volksabstimmung. Azione Raum 20 (Stanza 20) , Accademia di Düsseldorf. Celtic (Kinloch Rannoch) Scottische Symphonie (Celtic [Kinloch Rannoch] Sinfonia Scozzese). Joseph Beuys, Zeichnungen, Fettplastiken (Disegni e Sculture di grasso)Wide White Space Gallery, Anversa. EURASIA presso la Galleria RenéBlock, Berlino. Und in uns … unter uns … landunter, (e dentro di noi… tra di noi… sottoterra), Galleria Parnass, Wuppertal. Azioni-Kukei, Akopee- Nein!, Braunkreuz, Fettecken, Modellfettecken.,Technischen Hochschule, Aquisgrana.